Fabric spreading is one of the most important processes in readymade garments sector, by which fabricplies are spread in order to get required length and width as per marker dimension. If fabric spreading is perfect then fabric wastage will be decreased, which ultimately helps to achieve higher profit from a garment export order. As its importance in garments manufacturing sector, today I will present here some key purposes or objects of fabric spreading. Fabric spreading means the smooth lying out of the fabric in superimposed layers of definite length. It is a preparatory operation for cutting and consists of fabric lying. Marker paper is laid in the top of the fabric layers. It should be noted here that, during fabric spreading, number of the plies should be not more than three hundreds, where the number of lay depends on the height of the fabric and thickness of the fabric. It helps to place the number of plies of fabric to the length of the marker. It helps to cut the fabrics in bulk quantity at the same time. It helps in saving fabric cutting time for bulk garments production. During cutting the fabric, it helps to use multi garments marker at the same time. It helps in cutting many fabric plies at the same time. It helps to make every fabric ply plain and flat. What do you mean by fabric spreading? Point out various purposes of fabric spreading. 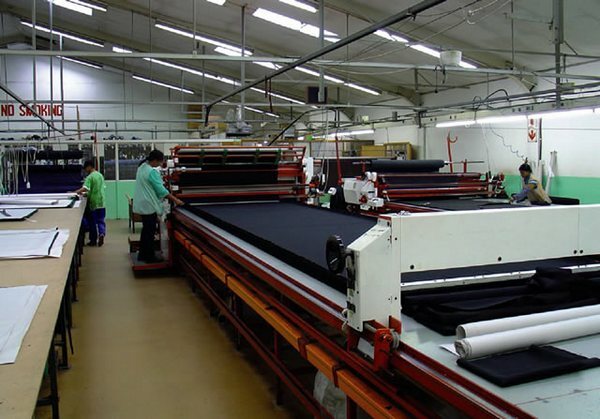 Mention the significance of fabric spreading in apparel manufacturing sector.